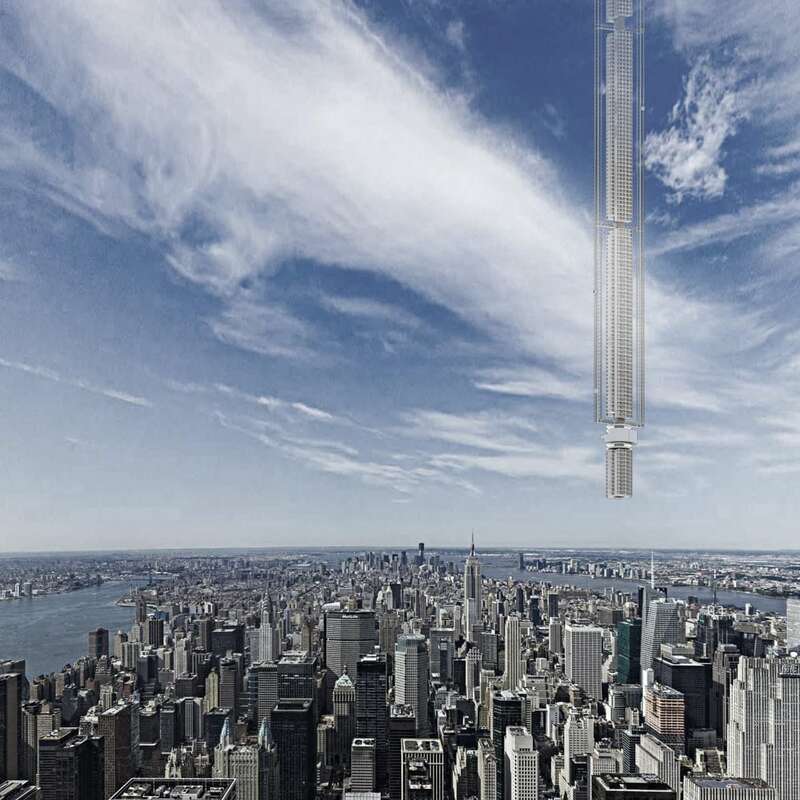 Head spinning renderings outline tentative plans for the worlds next tallest skyscraper – Analemma – that architects plan to hang from an orbiting asteroid. 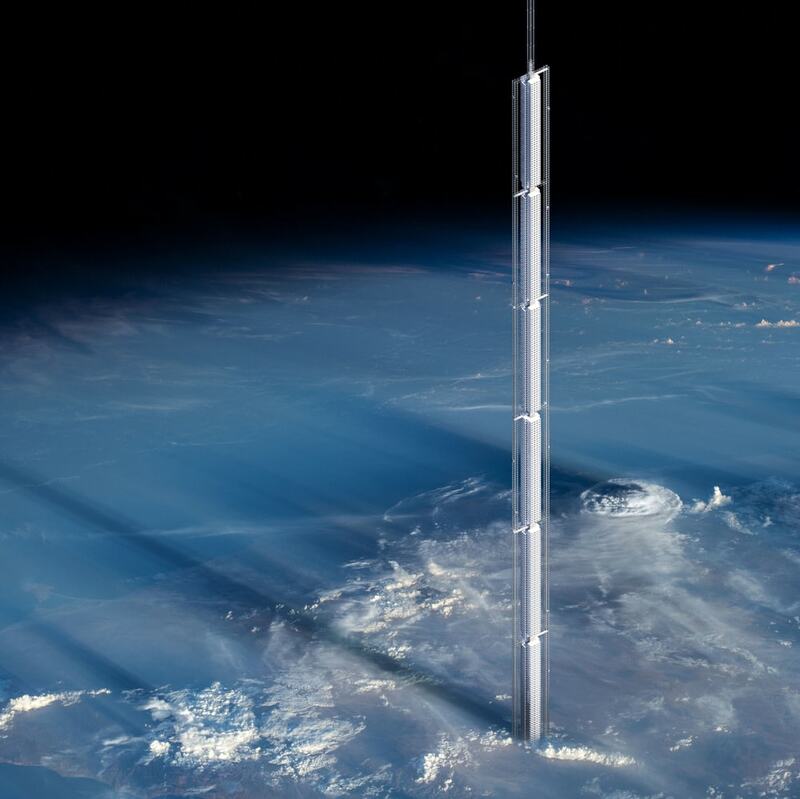 Forgoing an earth-based foundation, space is the place where Analemma will find it’s feet. 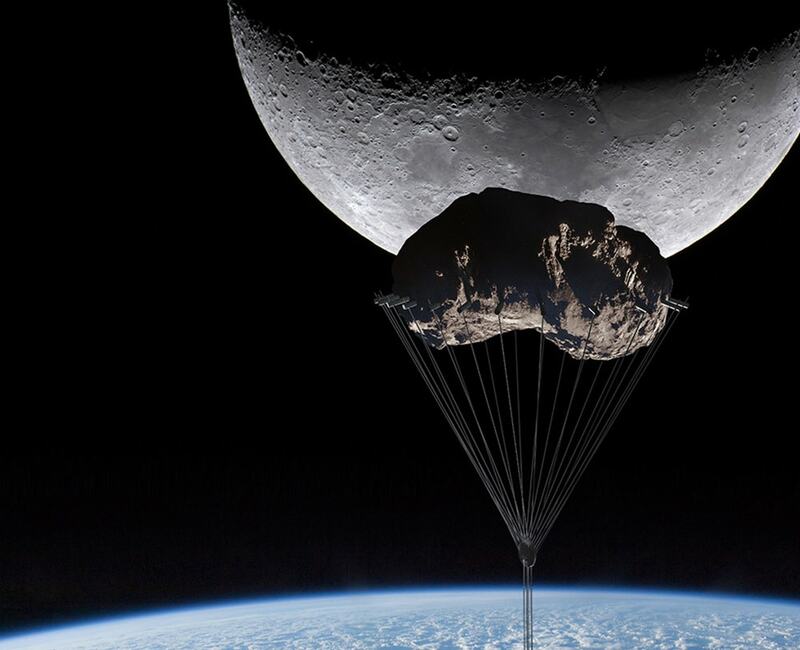 Referred to as Universal Orbital Support System, a nearby asteroid and a high strength cable will suspend the super tall tower at a height of 32,000 meters (almost 20 miles). An eccentric geosynchronous orbit would have it loop between earths northern and southern hemispheres on a continuous, daily basis, passing by New York City. 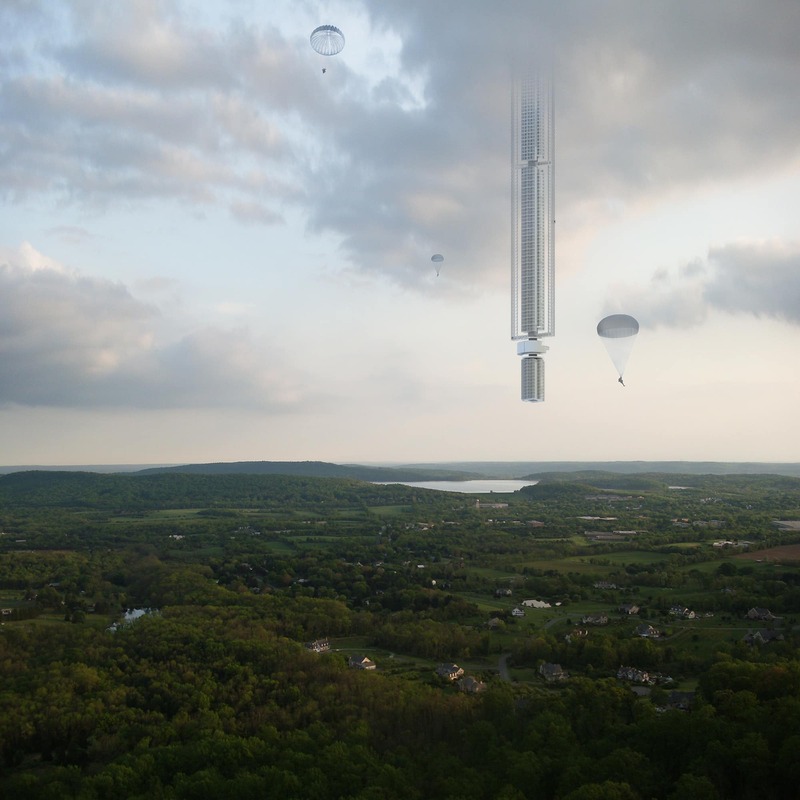 Moving at its slowest speed at the top and bottom of it’s course would apparently allow the towers residents to touch down onto the planet’s surface for a short while, before returning to complete another figure of eight. You can find out more via the projects ambitious designers, Clouds Architecture.